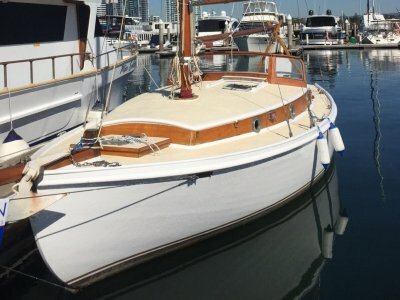 11 METER ONE DESIGN YACHT – Price: AU $21,000. THE ULTIMATE CLUB RACER WITH A COMPETIVE AMS RATING. 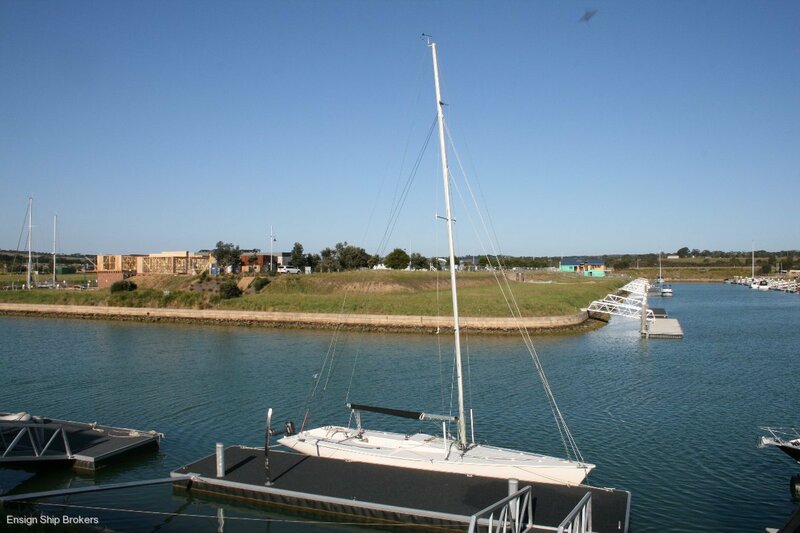 Calypso is an 11metre One Design she is a very fast, responsive club racer and is still a comfortable day sailer. 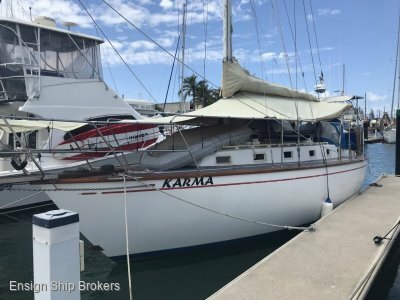 Developed by Ron Holland and Rolf Gyhlenius she is an exciting vessel and a great entry yacht into one design racing, at a very affordable price. 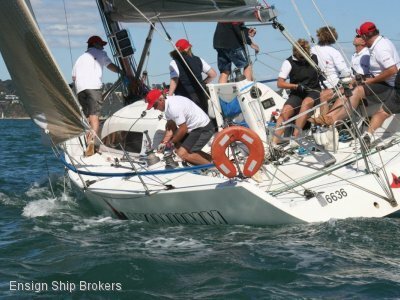 She boasts many impressive wins including the Pinto Regatta, John Morgan Trophy, BYC Keelboat Div. A , BYC Lyndways Summer Div. and many more. 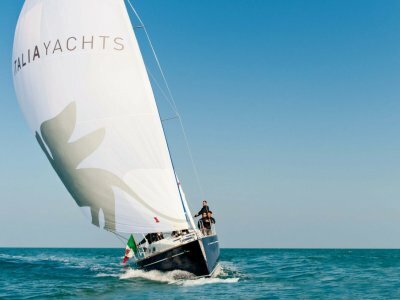 Calypso comes with Kevlar main and jib and mast head spinnaker with spinnaker pole. She is berthed at Martha Cove Victoria and is ready for her next regatta.